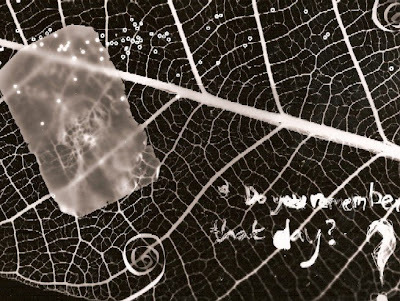 This is a photogram I made during my foundation course at Camberwell College of Arts in South London. I also think its really fun to find old negatives and redevelop them in the dark room to see what comes out! 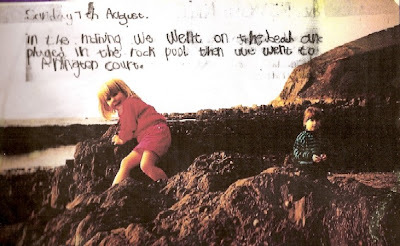 This is an image, below is of my sister and me, when we were small and the sea was oh so big. I love how that will never change. I've still got all the old holiday diaries that we had to write for school in the summer holidays. Its amazing to reread them, find out what kind of icecreams we ate and all the funny details. 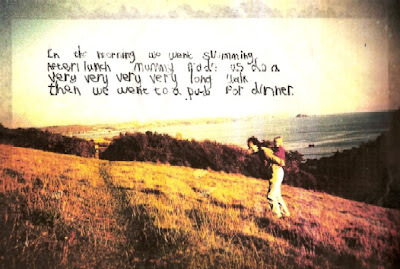 In this project from my foundation I was looking especially at nostalgia and British holidays, and I ended up taking a much more personal approach. 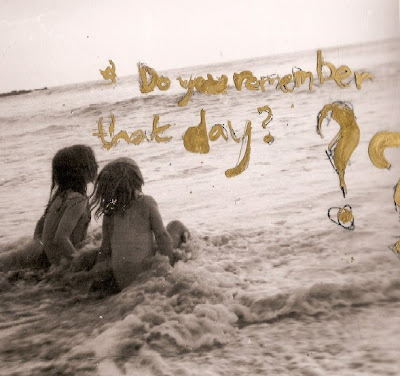 Fusing old photographs with text to give them a more solid narrative.